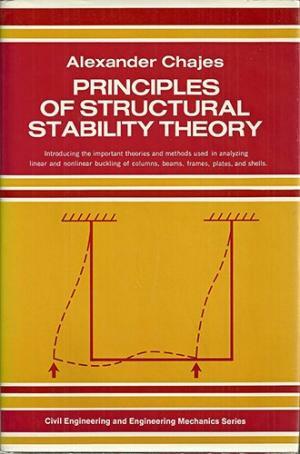 This is an introductory book on the subject of structural stability. Its aim is to provide a detailed treatment of the buckling characteristics of various structural elements and to present the different analytical methods used in the solution of stability problems. The first chapter deals with the buckling of columns. It begins with the Linear elastic theory and goes on to treat initial imperfections, large deformations, and inelastic behavior. The chapter concludes by relating theoretical results to actual engineering materials. In Chapter 2 various approximate methods used to solve buckling problems are considered. Numerical techniques that can be used in conjunction with high-speed electronic computers, as well as traditional methods, are included. The remaining chapters deal with the buckling of beams, frames, plates, and shells. These chapters serve a dual purpose. They present the buckling characteristics of various structural elements in a manner similar to the treatment of columns in Chapter l.
They also demonstrate how the various approximate methods introduced in Chapter 2 can be applied to different structural systems. Although the book is primarily concerned with the analysis, an attempt is made to relate theoretical conclusions to current design practices. An effort has been made to limit the book to fundamentals and to treat these in considerable detail. Therefore, it is felt that the text can easily be followed by persons not already familiar with the subject of structural stability, including both upper-level undergraduate or graduate students and practicing structural engineers. If the book is used as a textbook, it will be evident that most chapters contain more examples of applications of the theory that can be covered in class. It may be desirable to assign some of these examples, in addition to the problems at the ends of the chapters, as home assignments by the students. The basis of the book is a course on the buckling of structures, taught by Dr. George Winter at Cornell University, which the author was privileged to take when he studied under Dr. Winter. The author wishes to express his appreciation and gratitude to Dr. Winter for inspiring him to write the book and for the help given by Dr. Winter in preparing the book. Acknowledgment is made also to Dr. Robert Archer and other colleagues and students at the University of Massachusetts for their help and useful suggestions and to Dr. Merit P. White for providing the kind of atmosphere conducive to scholarly work.